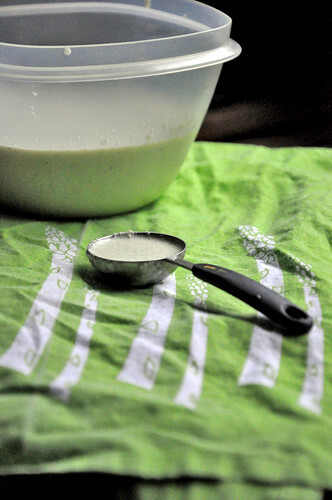 Tzatziki. 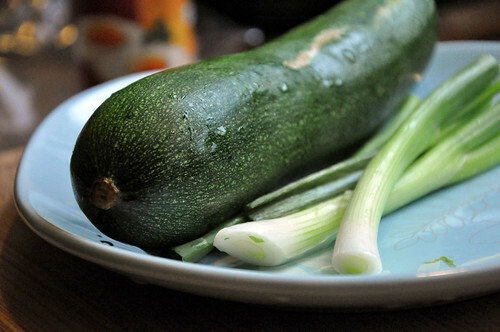 Zucchini. OIKOS? Lots of weird words flying around, right? Well, when we were shopping at Wegmans the other day, I found this tasty tub of tzatziki in the hummus section. Of course, I've enjoyed the Greek dressing/spread/whatever-you-call-it before while dining out at some local joints. 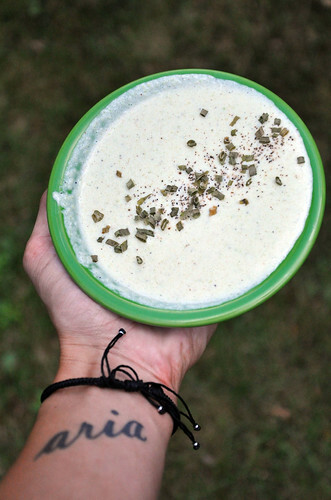 It's good on bread, veggies, and falafel. So, I put it in our grocery basket . . . thinking we'd find a million uses for it this week. Then Stephen looked at me like I was a crazy person. "C'mon, Ashley," he said. "You can totally make this yourself!" He was right. And now you can make it, too! 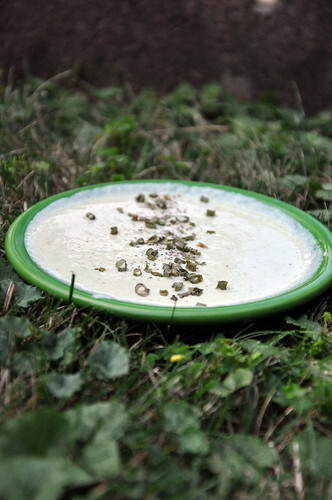 Traditional tzatziki is made with yogurt (goat's milk) mixed with cucumbers, garlic, salt, olive oil, pepper, and occasionally dill. Sometimes lemon juice and parsley -- even mint -- are added for extra flair. As you know, I don't follow rules and recipes. So, not having cucumbers in our fridge or dill in our spice drawer didn't stop me from creating my own version of the stuff. 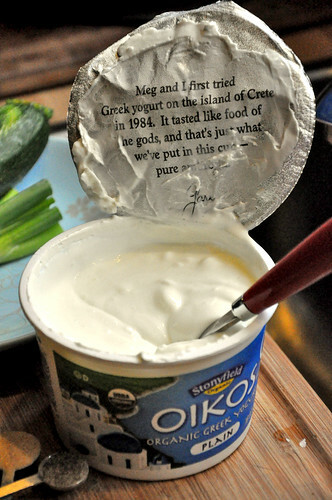 You may wish to add more or less Greek yogurt to research your desired consistency. 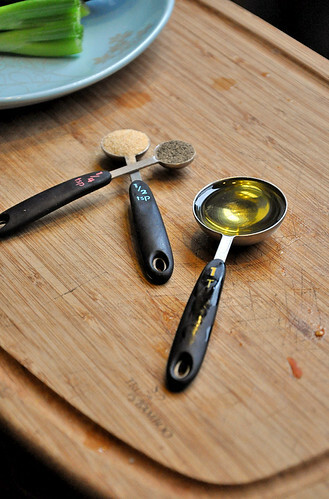 We liked ours thin because we used it to top some homemade polenta over a salad. It's tasty and cheap. And it lasts pretty much all week if you stow it in an air-tight container in your fridge. Now, here's my question for you all: What store-bought item have you made at home? Any good recipes to share?? ?